Find enterprise-level innovators with the help of our extensive, verified directory of professionals working in commercial departments of many companies and institutions. Get the valuable contact information of commercial experts now, and start talking to the right people! Are you hoping to get in touch with people who often form and initiate strong business-to-business (B2B) relationships, communicate with vendors, compile financial reports and data, or focus on providing great products or services? Don't blast everybody's email; target your marketing campaign so that it includes only the most relevant business professionals. If you want to have a more effective B2B marketing campaign, target the people who would be interested in your product: those working in commercial departments. With this ready-to-download, pre-built list of contacts within commercial departments, you can get directly in touch with the kinds of people who often make important decisions at different organizations. 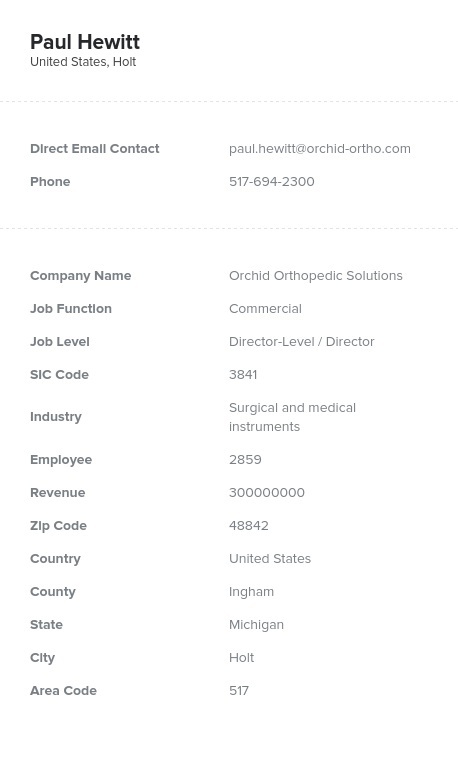 Pull sales-generating emails, phone numbers, fax numbers, names, titles, and more with the accurate data from this commercial database. Our data is both automatically and manually verified, and it's at a great price. We offer amazing quality for the best prices and aim to help you get in touch with the right decision-makers. You can either download this ready-made directory now, further customize it, or compile your own list with the innovative custom-list-builder application! Use our tools to contact professionals in commercial departments at multiple institutions today.